DOB December 22 2008, titled: ZVV2, IPO3, SchH/VPG1, ZPS1, showed: vyborny (excellent), surveyed: 1st class 5JY1/P, elbows/hips: 0/0, DNA tested. 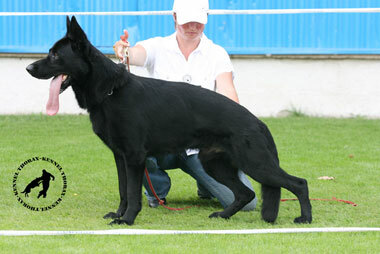 KERY is a typical representative of desirable working type German Shepherd dog. 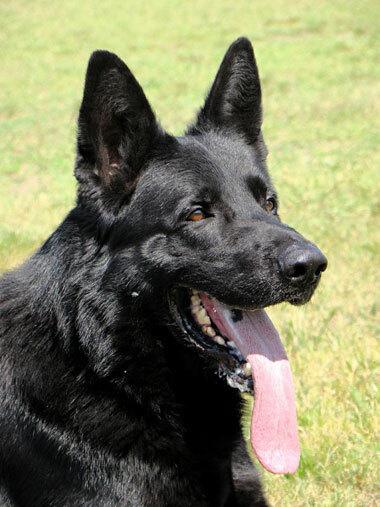 KERY is a outstanding stud dog with strong bones, strong well shaped head, dark pigmented color and high energy level and high working drives for any type of work with his handler. His energy level is strong but not crazy. KERY is capable of long concentration for exercises requiring calmness and persistence. KERY's bloodline and temperament enable him to be used everywhere where there's need to improve the type, pigmentation and strengthen the vitality and working drives of the dogs. As far as temperament his progeny is balanced. They are switch on/off type of dogs. When they are in their kennel they rest and once they are taken outside the kennel they are ready to give 100% performance. We don't know about any case that there would be male with missing one or 2 testicles, missing teeth/tooth. And he never produced long haired pup. 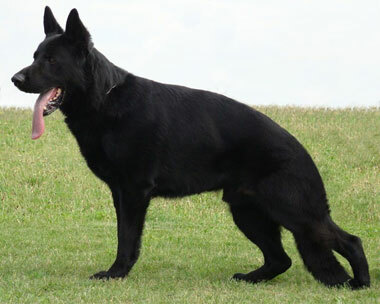 His progeny has strong bones and dark pigmentation. They are elegantly conformed.